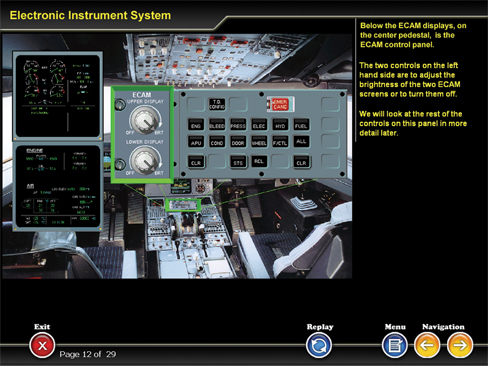 The ATA31A CBT module covers the details of electronic display systems used in commercial aircraft. The CBT uses the terminologies that are common in Airbus aircraft. The older type of instruments and gauges are not covered as majority of transport aircraft use electronic displays. The CBT has 245 pages of multimedia courseware that include text, audio, and graphics. The topics covered in this CBT are listed below.